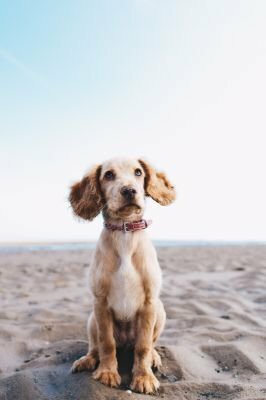 We teach you how to train your dog! 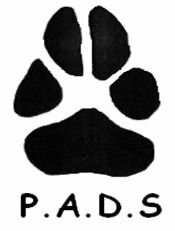 Puppy And Dog School (P.A.D.S) is run by Annette, Sue and Linda for the benefit of the dogs and the handlers. You can start our classes at anytime, we don't run courses, as it is important to us that the puppy or dog can start immediately, so there is no "waiting for courses" to start. We sell our classes in blocks of 6: by not running set courses we can accommodate people who cannot always commit to a weekly class (it is better if you can be consistent but sometimes life takes over!). So the lessons are valid for 3 months. Puppies and dogs all work and learn at their own pace, as do the handlers! However, we have other classes that we can move you and your dog up to, when you and your dog are ready. From 15.3.2019 we will be running 3 classes, 1 on Friday night, and 2 on Saturday morning, however, this is very flexible and can increase as demand needs. To train our handlers to have obedient happy dogs and puppies which are an asset to their families! Annette Marshall & Sue Brown have been running Puppy And Dog School (P.A.D.S.) since 2009, however, they were both trainers at the same club previously from 1998-2006. We are based in St Marks Church Hall, underneath the Church. The car park can be accessed from Orchard Street. There is Disabled access and parking. Saturday 20 April 2019 at 11am - 12 noon at Kerswell Green See Annette or Sue for directions and prices or email us! No Dog School this weekend, because of the Bank Holiday! See you next week 31.8.18 & 1.9.18. No dog school this Friday 27 July 2018. Saturday class is on at Kerswell Green at 10.30am - email or call us for directions. PLEASE NOTE WE ARE CLOSED THE WEEKEND OF THE 25/26 MAY 2018, BACK TO NORMAL ON 1/2 JUNE 2018. We cannot have the Church Hall over the Easter weekend, therefore we are closed on Good Friday 30.3.18, however, Saturday class will be held at the field in Kerswell Green - at 10.30am, email pads2009@sky.com for directions. See Annette & Sue for details - Minimum class 5 and obviously weather permitting! We are closed on Good Friday 19th April & Saturday 20th April 2019 - however we are holding a recall and socialisation class in a secure field. Puppy And Dog School is on this weekend! We are back from our Christmas break this weekend!!! We break for the Christmas holidays on Saturday 15th December 2018, and start back on Friday 4th January & Saturday 5th January 2019. There is no dog school this Friday 27 July 2018., the Church has a wedding and reception! But we will be having Puppy Class on Saturday morning 28 July 2018 at Kerswell Green at 10.30am. Email or call us for more details. All classes are back to normal this weekend! Due to the atrocious weather we are experiencing and evidently there is more to follow today, tomorrow and Saturday, Sue and Annette have decided to cancel Dog School this weekend. Its not safe for owners or dogs. See you all next week!